I know a lot of people are looking for clever ways to stretch a dollar while eating well. It is a topic near to my heart. Just because I am saving money, however, does not mean I want to stop entertaining or enjoying foods I love. It just means I have to find clever ways to make the most of what I have. 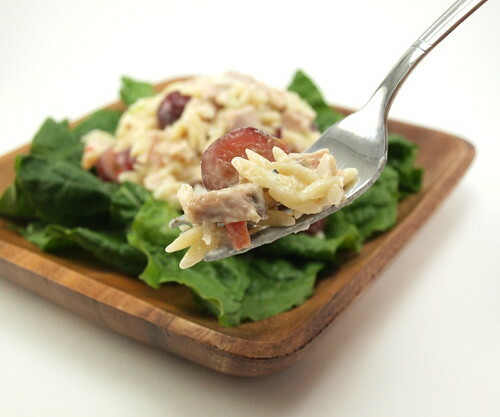 Using pasta to stretch meals an excellent way to feed a crowd with out breaking the bank. 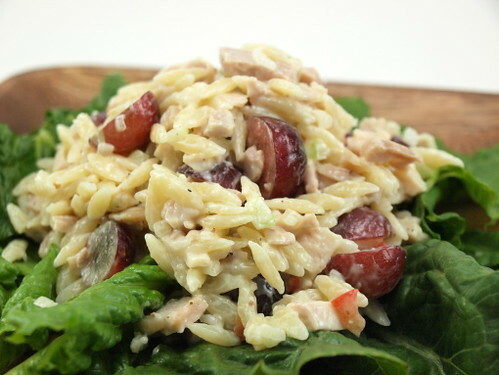 My Creamy Chicken Salad with Orzo certainly fits the bill. 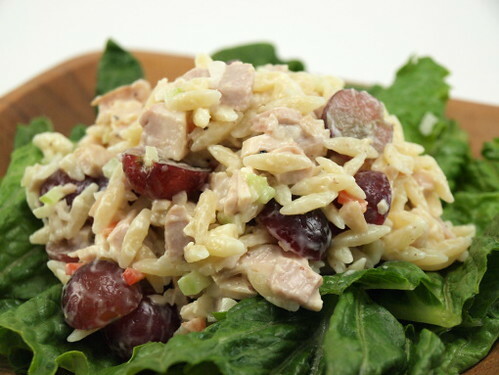 With the chunks of juicy roast chicken combined with the sweet, plump grapes, this chicken salad is a crowd pleaser. Served on some simply dressed salad greens you have a complete dish that is tasty and filling. 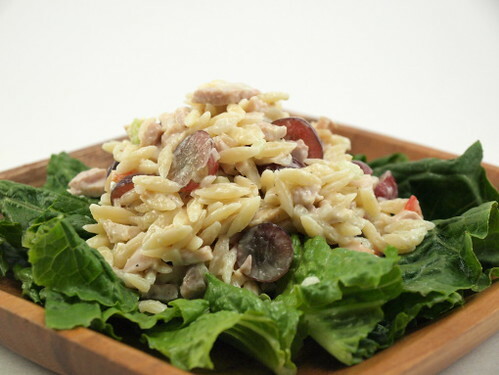 The orzo, aside from stretching the chicken, also adds interesting texture to the salad. Next time you have guests over for lunch, or for a light supper, consider this salad. 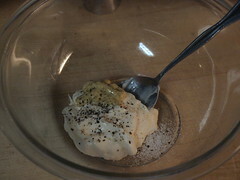 In a small bowl combine the mayonnaise and dijon mustard, salt and pepper. Mix until well combined. 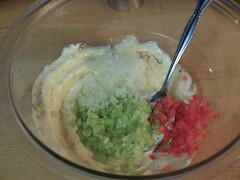 Add the onion, celery, and the bell pepper. Stir to combine. 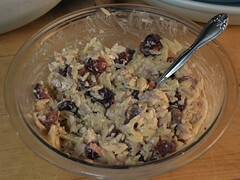 Add the chicken, orzo and grapes and fold until everything is evenly coated and well distributed. Cover and chill for two hours. Served on top of salad, as a sandwich, or with crackers.